This gorgeous dark brown foal is by Soliman de Hus (Sandro Hit / Donnerhall / Alabaster), whose sire established a dynasty of stars. Grand-sire Donnerhall brings upper-level performance and rideability; while Alabaster, himself a Bundeschampion and highly successful to Grand Prix, brings enviable refinement and type. Soliman was Hanoverian Licensing Champion in 2007, selling for 800,000 Euros to France. In December 2008 he was Champion of his 30 Day Performance Test, with good jumping results, as well as 9.75 in rideability, 9.5 for interior Character, Temperament, Constitution and Willingness to work; and 9’s or better in all 3 gaits! Sir Gawain’s beautiful dam, SPA Rothara was an overall “8” at her studbook inspection, and in her MPT she scored 9 for walk, 8 for canter, 7.5 for trot and an 8 in rideability. Her dam is by Wenzel, and her highly decorated grand-dam, SPS Wilsonara, is a past Bundeschampion participant. So, Gawain inherits athleticism and beauty from both his dam-line and sire-line. 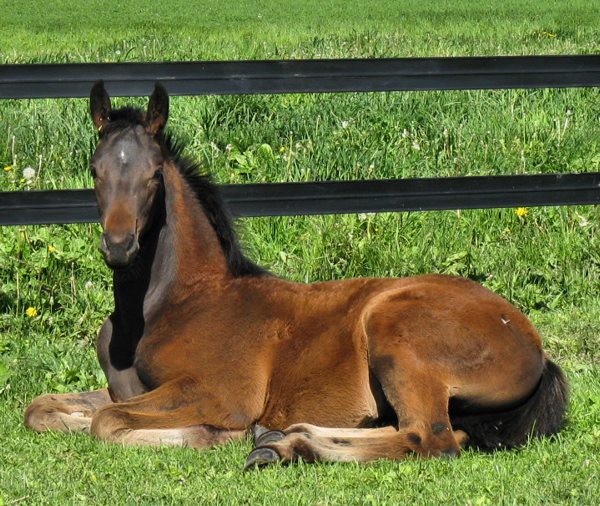 Gawain is pictured here as a foal, and again at 3 and 4 years of age. VIDEO shows him at 3 years old, one month undersaddle. UPDATE: Gawain proved to be a gem undersaddle, uphill, forward balanced and enthusiastic. He was SOLD to a gentleman with a lifelong passion for horses and riding. 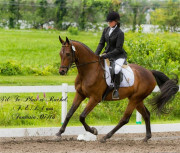 Under his new name, S’il Te Plait, in his 1st show season he was FEI Four-Year-Old Provincial Champion, winning every class and also receiving Show High-Point recognition.